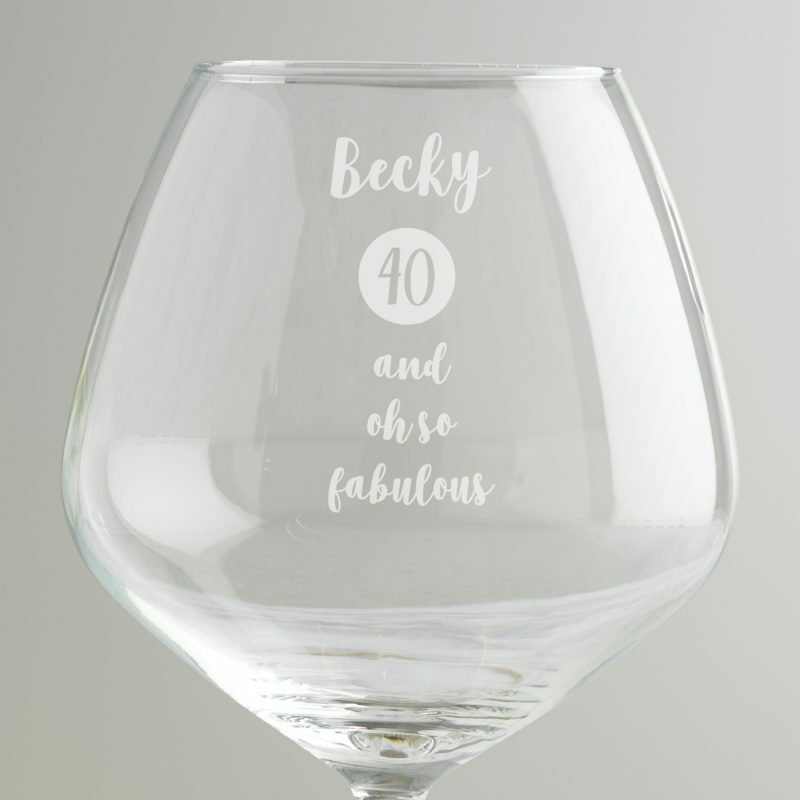 The special age birthday goblet glass for her can be personalised with a special birthday message for a friend, mum or sister. 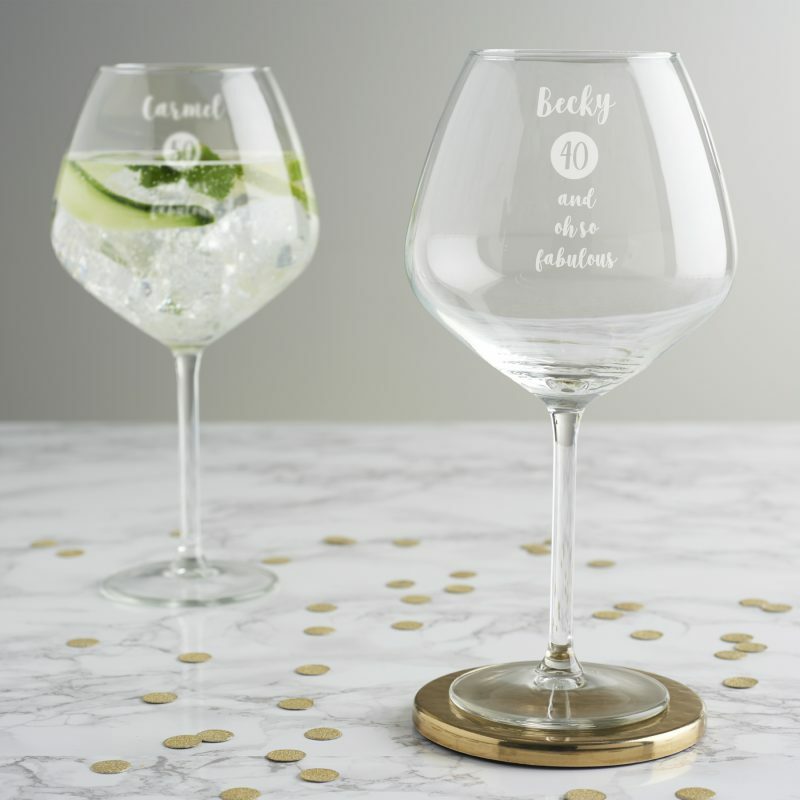 The balloon glass is ideal for drinking a large measure of wine or a gin and tonic to celebrate a landmark birthday. The personalised goblet will be kept as a treasured birthday keepsake. 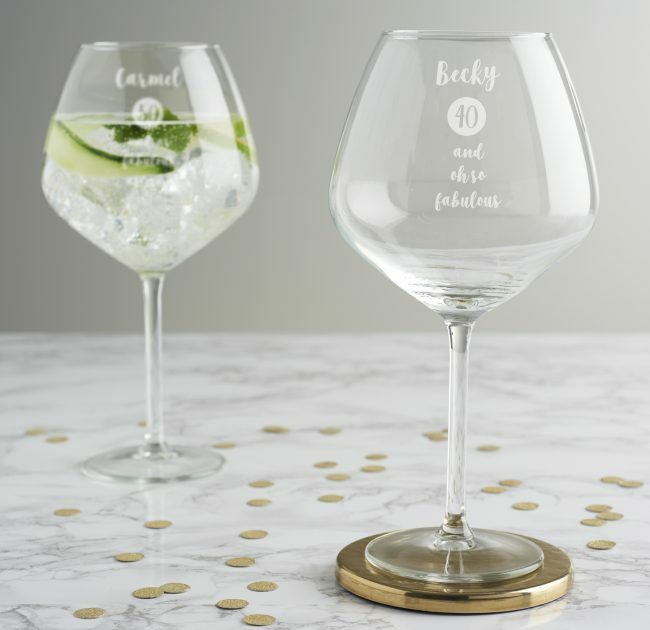 Personalise the gift with a name, age and up to three lines of text. Enter up to twelve mixed case characters for the name and up to fifteen lowercase characters for each line of your message. These limits include spaces and punctuation. Please double check your personalisation as we will etch exactly what you enter.